Good horror film with an excellent demon! 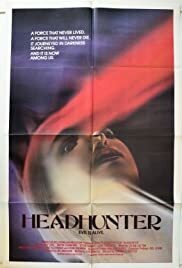 Headhunter is is good horror movie that stars Kay Lenz and Wayne Crawford! The killings are gruesome! It has good music and the Headhunter demon is very neat! it wasn't suppose to be funny but I thought the scene with the preacher was funny and it seemed like his voice was dubbed! I was funny when he said "I'm never coming back to this (curses) river again!I feel this movie needs more attention that it has received! I don't want to spoil it for you in case you haven't seen the movie and if you haven't rent it because its a good horror movie!